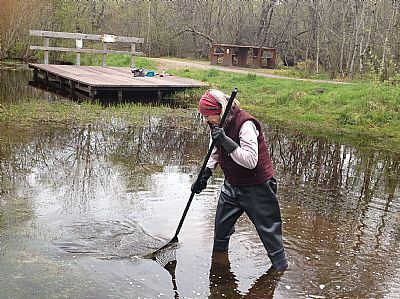 The former curling pond in the centre of the Gearrchoille was cleared of willow scrub and restored as a wildlife pond with a dipping platform. 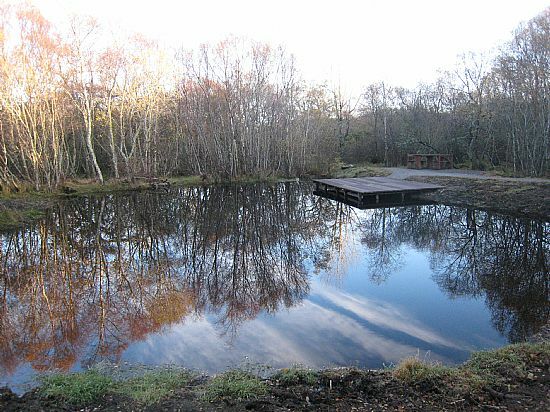 The project was awarded the The Best Environmental Project 2011 by the Community Woodlands Association. The CWA has a membership of over 200 community woodlands throughout Scotland. 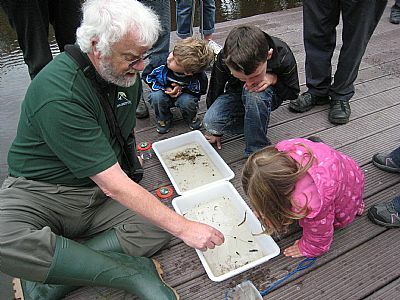 We organise pond dipping events each summer and other local groups & schools also make use of the facility. 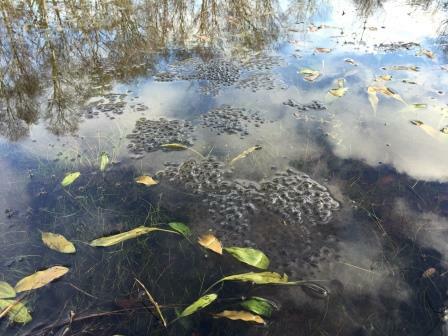 David McAllister has carried out a series of amphibian surveys for us, starting in 2007 which was part of the Environmental Audit & serves as a baseline before the development of the pond. 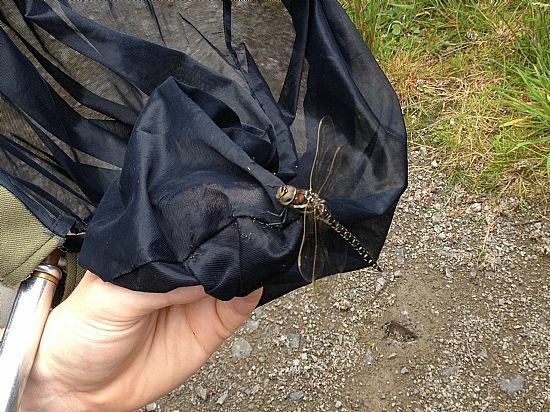 To help identify pond creatures you can use this Pondwatch Bug Dial. 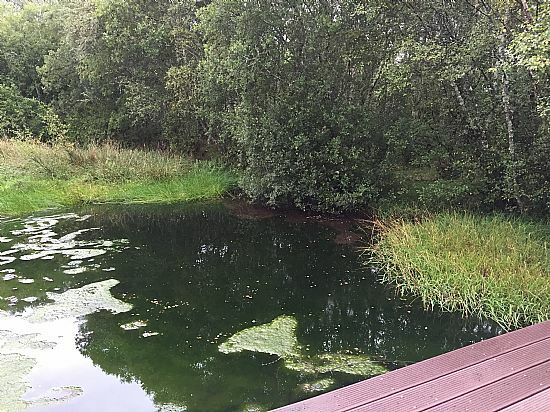 The pond has become somewhat silted up & has alot of grass growing in it. 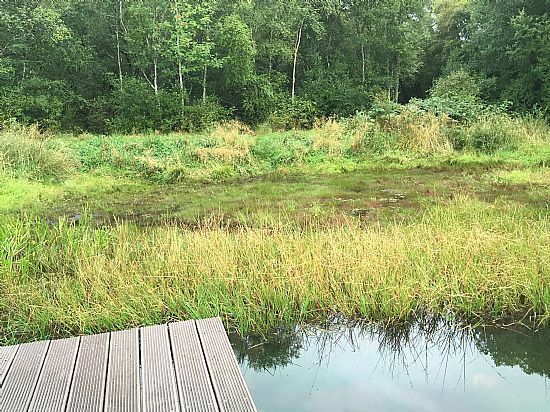 This benefits some of the pond residents, but others prefer open water, so one of our tasks is to keep the grass and mud under control - great fun if you like playing with mud.